This event was so popular last year in Savannah; we’re doing it again! What better way for us to show our appreciation to a wonderful city for hosting this year’s Porsche Parade than to have a short tour of our downtown district, while showcasing our wonderful cars at the same time. The Official Porsche Parade, will take place on Saturday afternoon, July 14. We will drive north up State Street, heading to the State Capitol Building. 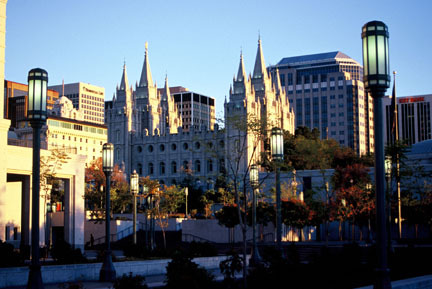 You will pass the downtown business district, go under the Eagle Gate, pass the famed LDS Temple, Temple Square, and its related office buildings. Heading up the hill we pass historic homes and topping the hill we drive clockwise around the entire Capitol Building. We will pass by The Gateway, an open air shopping district, as we drive north you will see all of the restaurants, stores, and a special water fountain that was built in honor of all the volunteers for the 2002 Winter Olympics held in Salt Lake City. The Parade should take 30-45 minutes.